Did ISIS Just Attack North America? On 2 October 2014 Fox News reported that ISIS has issued a directive for sympathizers in the United States to attack US Military families stateside. The directive was taken so seriously that US Army Intelligence issued a warning to US Military families and soldiers to bolster their personal security methods. A US Military source recently informed me that Force Protection procedures have occurred related to this threat. It would be negligence for Western Intelligence to think this is only a threat to the US homeland. Earlier this month Canada also voted to join the collaborative in air strikes on ISIS in Iraq. Within a couple of weeks a Canadian soldier was killed after 2 soldiers were run down by an assailant in a car. The same report, reported that ISIS propaganda described the exact same scenario as a method of attacking Americans at home. The assailant was tied in the press to possibly being affiliated to Islamic extremism. Still fairly easy to ignore I imagine. 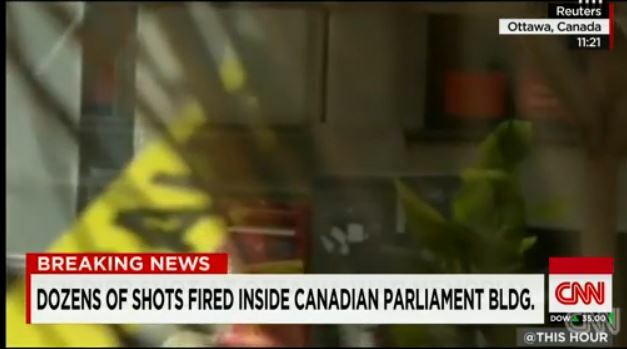 However, today, coincidentally, it has been reported that at least one if not multiple gunmen have opened fire at the Parliamentary Canadian War Memorial. This incident is still being resolved. For those out there responding to the reporting on ISIS as being not a threat to our homeland I ask you to look north to our ally and tell me if this is all a coincidence.